This blog update is brought to you in a prompt manner this week for two reasons. The first is that the latter part of the week will invariably be taken up with packing. I've never carted enough stuff to race for 24 hours overseas before. BC Bike Race was all wrapped up in 20 hours over seven days. Different racing but still puts it into perspective. I'm sure I'll be the source of much interest from onlookers at the airport. Small woman with large baggage. My favourite answer to the inevitable, "What's in that bag?" question that travelling with a bike bag seems to encourage is, "Shoes". The second reason, is that I have less training on the horizon for the next fortnight. Finally, all the hardwork is done. For this chapter of the book anyway. It's a nice feeling. And gives me time to schedule a performance enhancing haircut. Nothing too radical or ultra weight saving. Racing in Canberra is gonna be a whole heap of fun. Not least because of the sunshine (there had better be sunshine, Australia) but also the fabulous people I'll get to share the experience with. Twenty-four hour racing is definitely not a one man band affair. Everyone needs a pit crew. I'm stoked to have these guys on mine! Strength: Making people ride their bikes faster than they thought they could. Weakness: Chocolate and red wine. More of an addiction than a weakness. The mastermind behind all things performance and data analysis related. This will be her second time round crewing at a 24 Hour race in Canberra and this time she's coached three riders for the event. 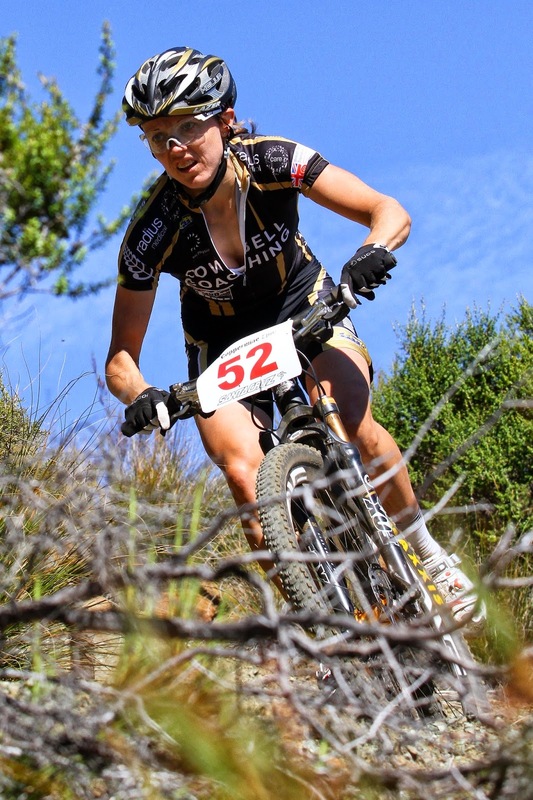 She's even experienced her own time in the hurt box at Stromlo racing in the 2008 World Cup to a top 20 finish. 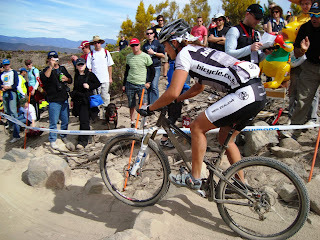 Best known for racing cyclocross in cowprint gumboots. The girl that got me back on an elite startline, at the pointy end of races and increased my red wine and chocolate consumption exponentially. She brings order out of chaos. And Monkey Lights to the team. Strength: Degree in Bodgability. Ain't nothing he can't fix. Weakness: Pies and beer. More of a basic necessity than a weakness. Maestro of the spanner (and other bicycle tools). 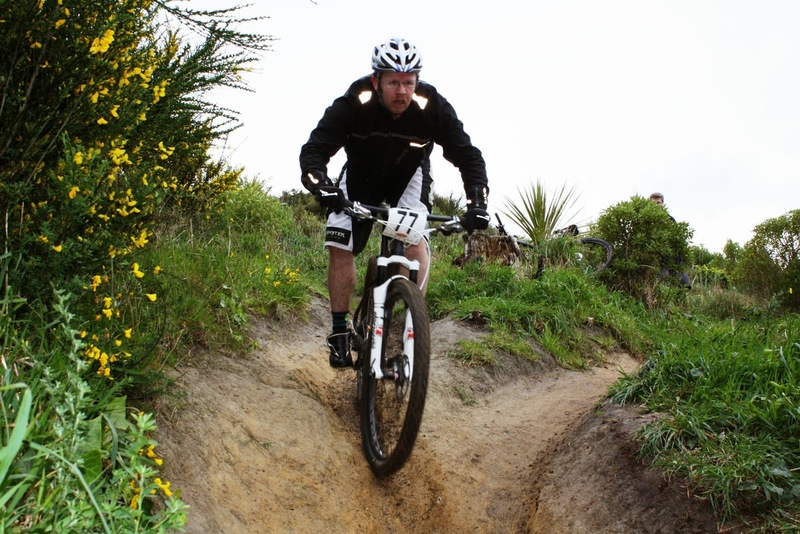 Best known for building awesome trails and riding all sorts of bicycles including a fixie at cross races. He rode Karapoti in high heels once too. The genius behind my custom built race bike last year and the man who fixed my middle finger braking habit and made me more rad on my bike (mainly by means of optimised bike set-up coupled with merciless banter). He brings manliness to the team. Strength: Mastery of cookie creation. Weakness: None. Powergirl has no weaknesses, silly billy. 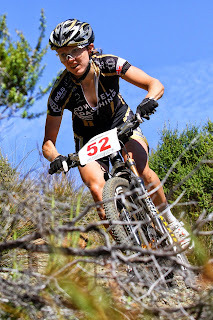 Last minute addition to the team is the kiwi based Canadian adventure racer. She's famous for being the Em bit of Em's Power Cookies and best known for yellow bikini antics at the Tour de France. 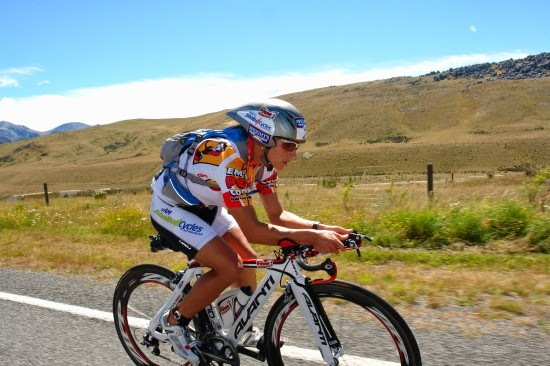 With three Speight's Coast to Coast World Multisport Championships victories to her name, she knows what it takes to get through a long day at the office. She brings endless enthusiasm, delicious cookies and adds another funny accent to the team. Huge thanks to all my sponsors and various people who have spurred me on. I feel privileged to have such amazing support. Many of you provide inspiration without even realising it, like Karapoti race organiser, Michael Jacques, who told me in 2011 that my race entry for the following year's event had better be for the elite category otherwise he wouldn't accept it. Getting back in the saddle has been a lot of fun. Forget diamonds, ENVE wheels are a girl's best friend! So, the next blog will be posted when I'm on the other side of the Tasman. There's even a live timing update thingy running during the event so I'll chuck links to all that sort of good stuff up. Good luck to all the kiwis competing... Megan Dimozantos, Erin Greene, Jude Young, Charlotte Ireland, Tim Collinson, Tim Farmer, Matt Andrew, Matt Lees, Thomas Lindup, Angus Petrie and Ryan Hunt (sorry if I missed anyone!). See you all there.